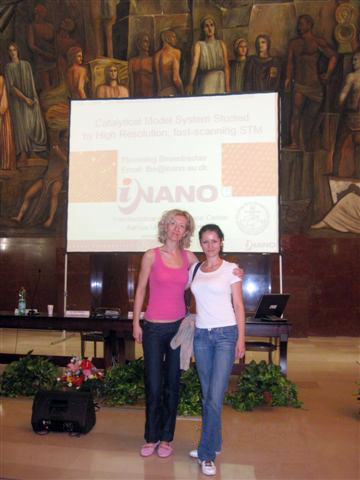 The NANOSTRUCTURED MATERIALS Conference is an international conference organized biannually under the auspices of the International Committee on Nanostructured Materials (ICNM) with the purpose of bringing together the international community of scientists and engineers interested in new concepts in this exciting and rapidly developing field. 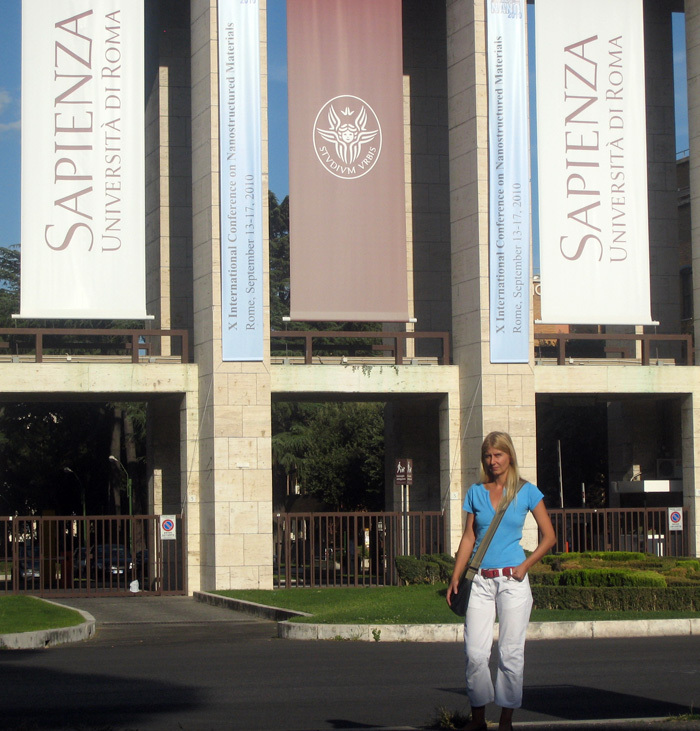 The 10th NANO was held in Rome at La Sapienza University, following the previous conferences held in Cancun (Mexico, 1992), Stuttgart (Germany, 1994), Kona (Hawaii, 1996), Stockholm (Sweden, 1998), Sendai (Japan, 2000), Orlando (USA, 2002), Wiesbaden (Germany, 2004), Bangalore (India, 2006) and Rio de Janeiro (Brazil, 2008). 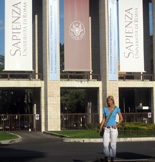 The conference program included 10 plenary invited lectures (given by S.D. Bader, M. Prato, F.Besenbacher, M. Aono, V. Vogel, H.L. Tuller, F. Caruso, E. Tossati, S.Y.Chou, and H.Arakawa), 73 invited talks, 253 contributed talks distributed in six parallel sessions devoted to specific topics and 563 poster contributions divided in three sessions. 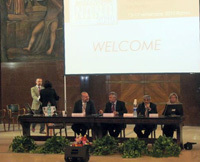 The opening ceremony was held by the chairs of the conference: Dino Fiorani (National Research Council, Italy), Enrico Traversa (Roma Tor Vergata University, Italy), Elisabeta Agostinelli (National Research Council, Italy), Kamanio Chattopadhyay (International Committee on Nanostructured Materials) and Maria Sabina Sarto (La Sapienza University). The conference programme offered a wide range of topics for discussion dedicated to atomic clusters, 1D nanomaterials, 2D and 3D molecular self-assembly, surface functionalization, modelling and simulation of the nanostructures, nanocatalyst, nanophotonic, nanobiotechnologies, organic-inorganic hybrid materials, nanomaterials for information storage and energy applications, nanoelectronics, nanodevices and sensors, etc. The author of this report gave a talk related to Soft chemistry routes for synthesis of rare earth oxide nanoparticles with well defined morphological and structural characteristics within the session Materials with controlled nanostructure via chemical methods, and also contributed as a co-author of two posters presented by the colleagues from the Institute of Multidisciplinary Research in Belgrade (Dr. Slavica Savic – Microstructural and electrical changes in nickel manganite powder induced by additional mechanical activation and Dr. Katarina Vojisavljevic – Correlation between mechanically induced defects and photoluminescence in ZnO ceramics). According to the decision of the International Committee on Nanostructured Materials, the next NANO conference will be held in Greece in 2012.